The Great Ocean Road. An insanely beautiful scenic drive – maybe the most beautiful in the world? (Oh, those superlatives again… so often I swear not to use them too much, but now I have to… again. 😀 ) It was one of our major reasons to visit Australia in the first place. We love the ocean, the scenic coastal hikes, dramatic cliffs and giant waves. The Great Ocean Road very much looked liked our thing. It was. We spent 3 days driving and hiking there right after our flight arrived to Melbourne. It was a great introduction to this beautiful faraway land called Australia, and we instantly fell in love with the stunning views and the cute koalas. Oh, kangaroos, too. 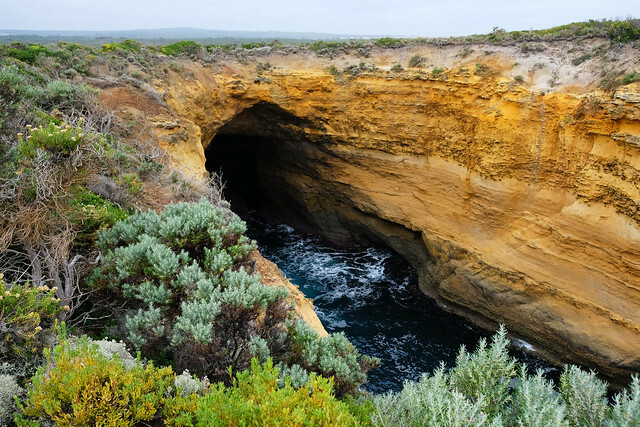 We put together this guide so that you can plan your perfect Great Ocean Road experience, too. Okay, but where is it exactly? 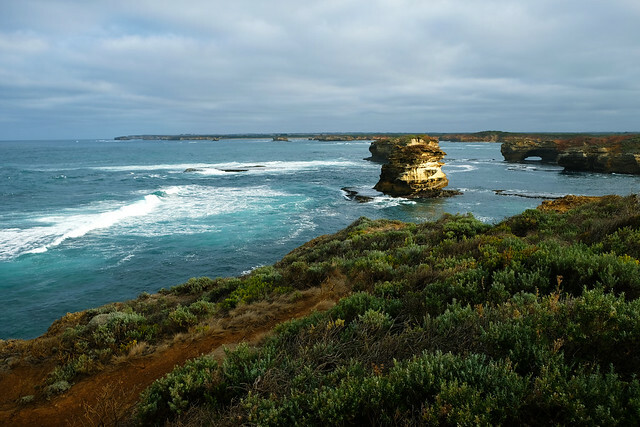 It’s a 250 kilometres long section along the south-west coast of Victoria in Australia, between the towns of Torquay and Warrnambool. How much time do you need for a proper visit? Oh, you wish I’d give a damn number to plan with. Hah, it’s not that easy. It can be anything from 1 day to 3 weeks, because a “proper visit” is different for everyone. If you are based in Melbourne and only have a couple of days, you can rent a car for a day and drive it all the way and back within that single day. 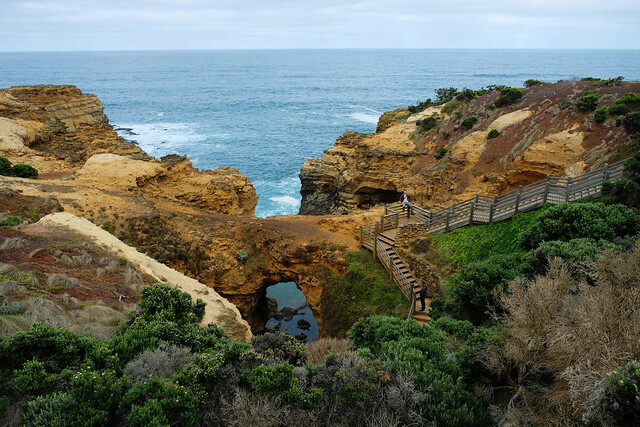 If renting a car is not an option, you can sign up for a day trip from Melbourne. In any case, be prepared for a long (but amazing) drive with some short stops at the most famous viewpoints (more on those later). But here’s our only recommendation for the length of your visit: if you can, make it longer than a day. Only one day is hardly enough to enjoy the various beauties this drive can offer. There are A LOT OF viewpoints, and they are spectacular! Not to mention the fabulous scenic hikes and national parks on the way. You can go on shorter and longer hikes from a lot of viewpoints. Some of them are paved, some of them are on boardwalks, and some are, well, proper hiking trails. 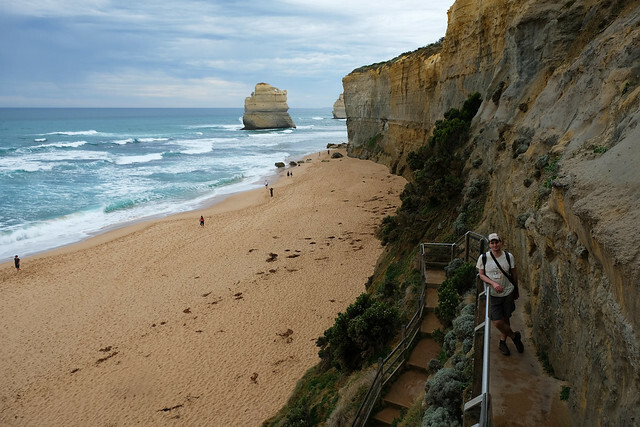 The Great Ocean Walk is a 100 kilometres long coastal trail from Apollo Bay to the Twelve Apostles. I told you this visit can take long. Which are the best stops? Just a short walk from the parking lot to the lookout, but the views of the coast and the surrounding forests are wonderful. Roadside stop with astonishing coastal views. 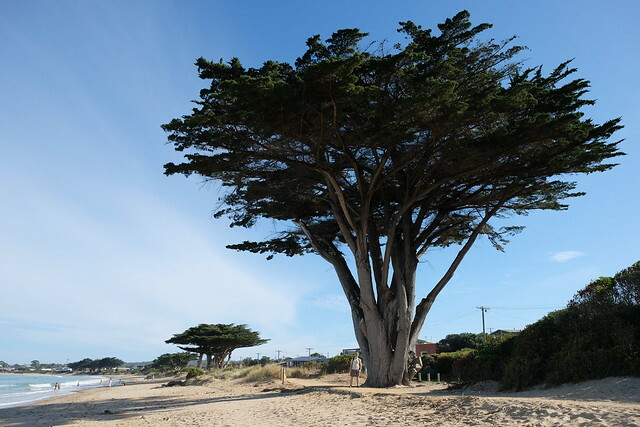 There are several parking lots along the long sandy beach of Apollo Bay. We stopped for a picnic below the giant cypresses behind the beach. Don’t count the stairs that lead down to Gibsons Beach, just go! Views are amazing all the way. In addition, it’s the only beach where you can look up to the Apostles (well, only two of them, but still). The most famous viewpoint of all, with 4 lookouts. It takes about an hour to walk to all of them and enjoy the views (and take tons of pictures). It’s an easy stroll though, and the boardwalk is wheelchair accessible. And it’s absolutely worth seeing the Apostles from every possible angle! More stunning rock formations and several walks to the viewpoints at the clifftop. There’s also a long stair leading down the bay that’s worth taking. It’s a short walk that starts from Loch And Gorge parking lot. We walked further to the Sherbrooke River estuary – a scenic and peaceful walk, definitely not included in most tourists’ itinerary. It took about an hour altogether. Its name says it all. Short boardwalk leads to the viewpoint. Once a double-span natural bridge, the span closer to the shoreline collapsed unexpectedly in 1990. Now the new name is London Arch. Another long series of stairs took us down to another amazing and rare rock formation: the Grotto. Apostles, martyrs, … There’s place for everyone along this road. And they deserve their place for sure. There’s a 45 minutes long coastal walk starting from the parking lot that we also liked very much. No dramatical name here, but the views are dramatic. It’s a short walk on a boardwalk. 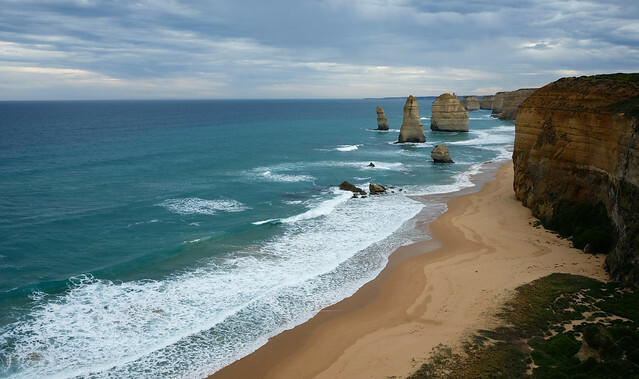 Why only 8 Apostles left to be seen at the Twelve Apostles? So the Twelve Apostles. 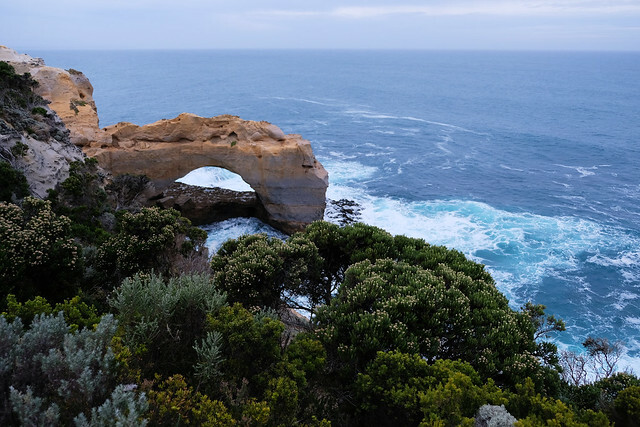 It’s probably the most famous rock formation along the Great Ocean Road. Who knows for how long? Okay, they will probably linger around for a while. But just for a blink of an eye in Earth’s history. 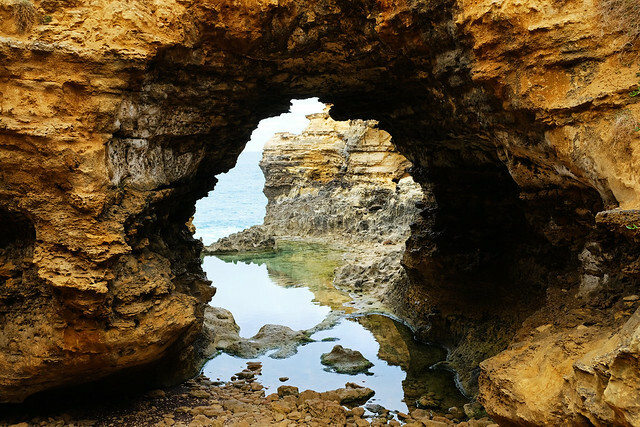 The coastline and the rock formations were formed by erosion, and they will be destroyed by erosion, eventually. What came as a surprise though, that there were never 12 apostles there. Originally, there were 9, then one of them collapsed in 2005. But 9 is kind of close to 12, and “the Twelve Apostles” sounds much better. Because there were actually 12 apostles according to that old story. That’s about it. But those 8 left behind are pretty majestic. 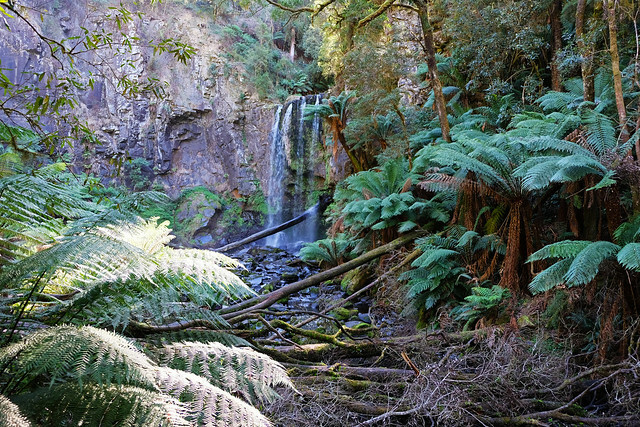 What about hiking in Great Otway National Park? Great Otway was the only place in Australia where we’ve actually met koalas in the wild. 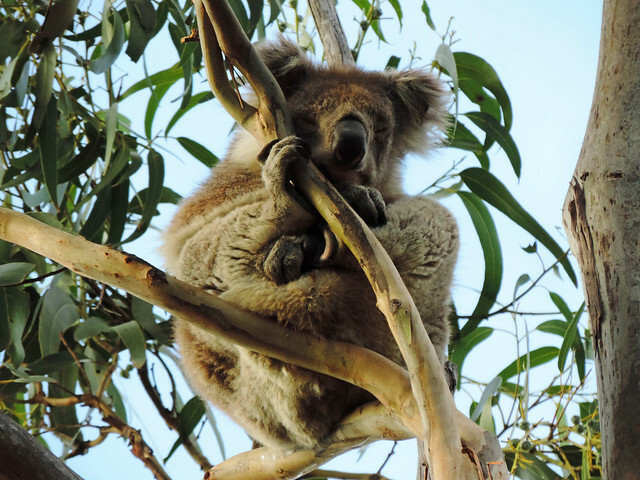 The Kennett River Koala Walk is a walk (or drive if you prefer that) on Grey River Road where you are almost guaranteed to spot some koalas. If you’re lucky like we were, some of them might even come down from the high Gum trees, so that you can see more than just a fluffy ball. Not that fluffy balls are not cute enough. It’s a short, easy, enjoyable walk through the rainforest. Probably it’s the best choice if you only have a very short time in Great Otway. Lots of giant trees – like towering old Mountain Ash trees – amazed us on the way. What’s better than an ancient rainforest? An ancient rainforest with lovely cascading waterfalls. 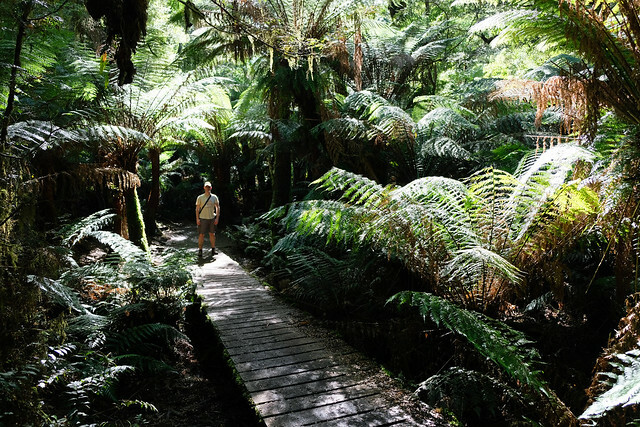 If we could only choose one rainforest walk to do in the Otway, this would be it. It’s slightly longer and a bit more strenuous than Maits Rest though. The upper lookout for 30 metres tall Erskine Falls is an easy 5 mins walks from the parking lot. The walk to the lower lookout includes a couple of hundred steps, but it offers a closer view of the falls – I mean, if it exists. Water was only dripping by the end of summer when we visited. The first viewing platform is only 20 metres from the parking lot, but for the best views it’s worth doing the steeper walk down to the pool at the base of Hopetoun Falls. 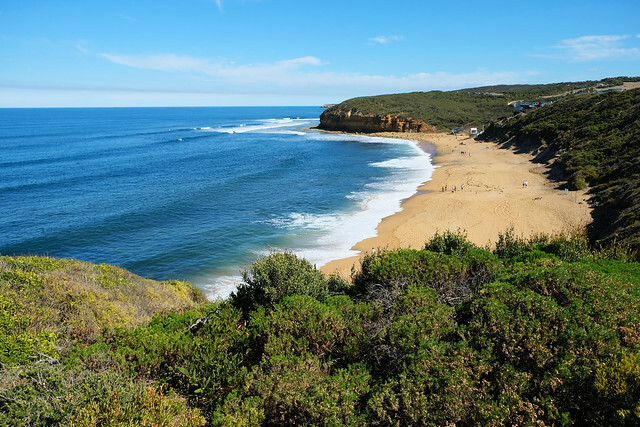 Can I swim on the beaches along the Great Ocean Road? Yes, if you really, really want to. We didn’t think of swimming, because it was too cold for that in the middle of autumn. Most of the beaches are rather for surfing than swimming, anyway, and the currents are strong. Sea temperature is around 20°C in the summer. 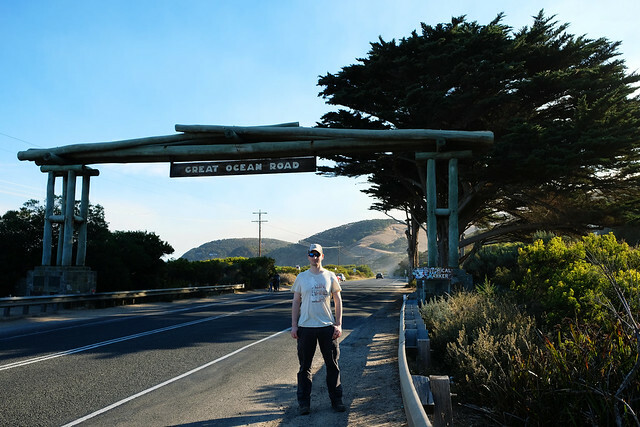 Can I surf along the Great Ocean Road? 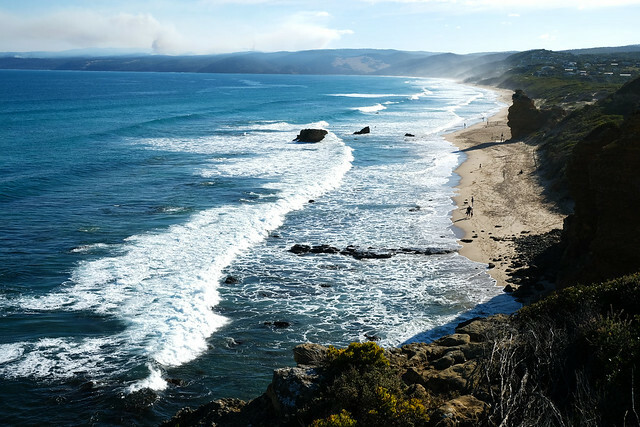 The Great Ocean Road is famous for its surfing beaches! 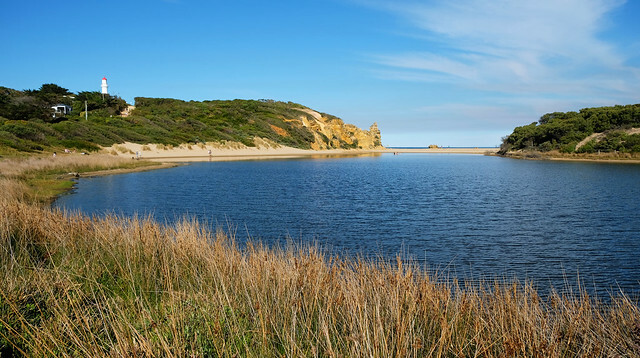 Bells Beach is one of the most well-known ones. But we saw tons of surfers everywhere along the coast. 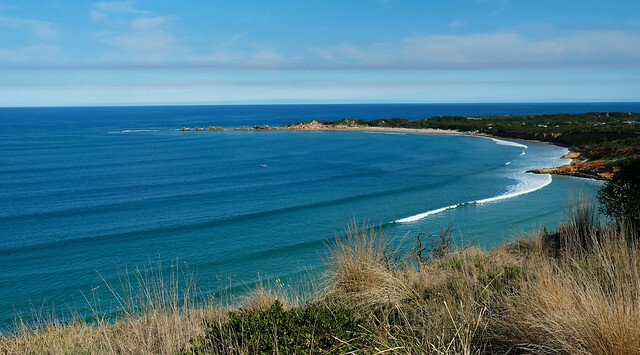 Apollo Bay, Anglesea and Lorne are said to be the best places to learn to surf. 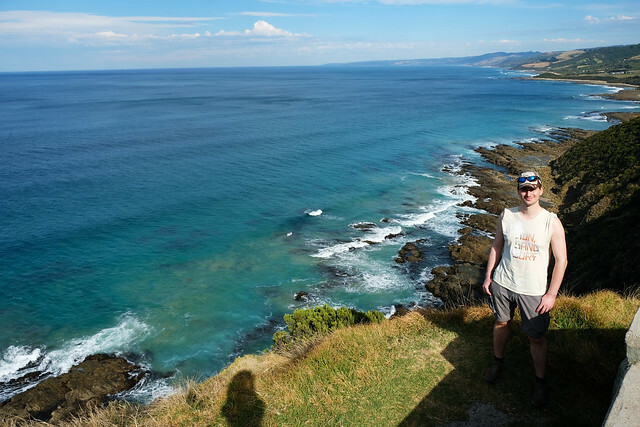 Can I camp for free along the Great Ocean Road? No. At least not legally. Australia is famous for wild camping, but the rules got stricter lately, especially in the inhabited areas. You are allowed to camp only at designated sites. It can include free roadside rest areas or designated public parks, too, but it doesn’t mean you can stop at any parking lot for a sleep. Actually, there are signs at most of the parking lots along the Great Ocean Road that explicitly prohibit overnight stay. 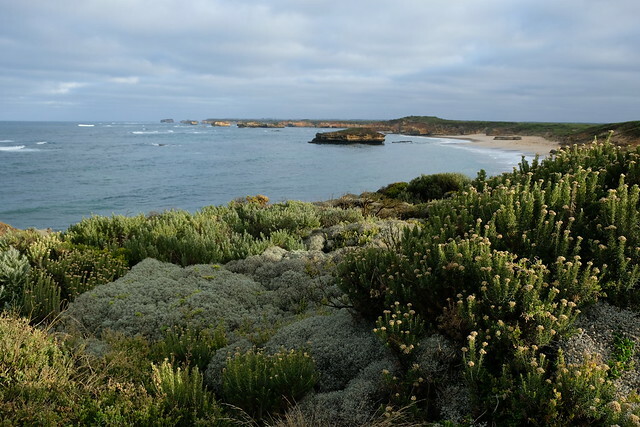 The only free camping area that is somewhat close to the Great Ocean Road is in Panmure. It’s a bit further from the coast, but it’s a quiet place with nice facilities. (Yes, we tried it, and it’s worth that 30 minutes extra drive in our opinion.) 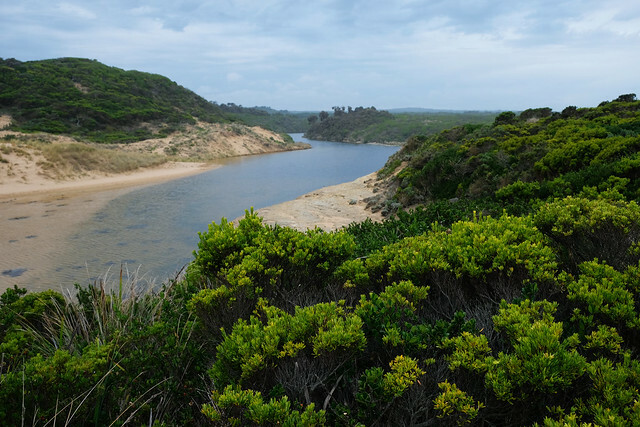 Otherwise, there are a lot of caravan parks and campgrounds where you can get a spot for about 30-40 AUD per night (the simplest, unpowered site). Finally, the most important thing: enjoy your time! 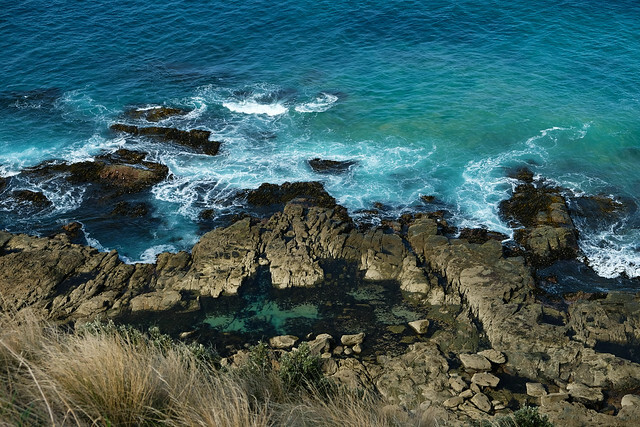 Maybe it’s driving, walking, hiking, surfing or wildlife watching, the Great Ocean Road offers something for everyone. Take your time and find your favorite spots and activities. And don’t forget to drive on the left. Do you have a favorite scenic drive anywhere in the world? 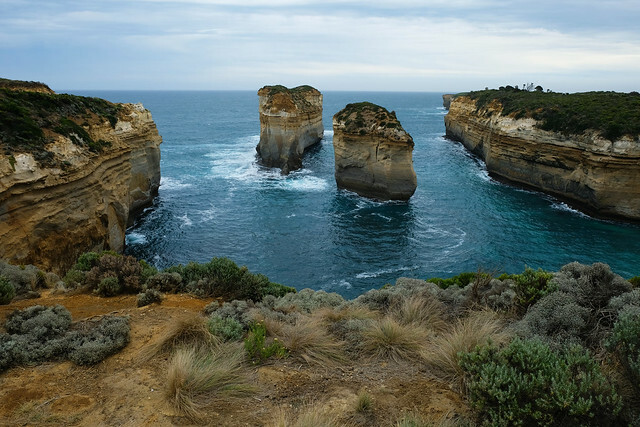 Is the Great Ocean Road on your dream list?